Shale is often a red or gray rock made of mostly clay minerals. This sedimentary rock forms in quiet water setting such as lakes and the deep parts of the ocean. The clay particles settle on the bottom of the lake or ocean and harden into rock. 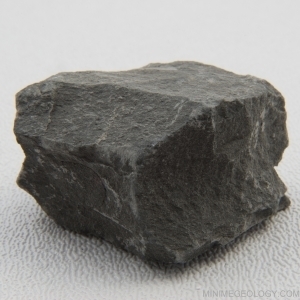 Shale is very fine-grained and is believed to be one of the most abundant rock types worldwide.